My first impression… It is stunning! Beautiful and spectacular. 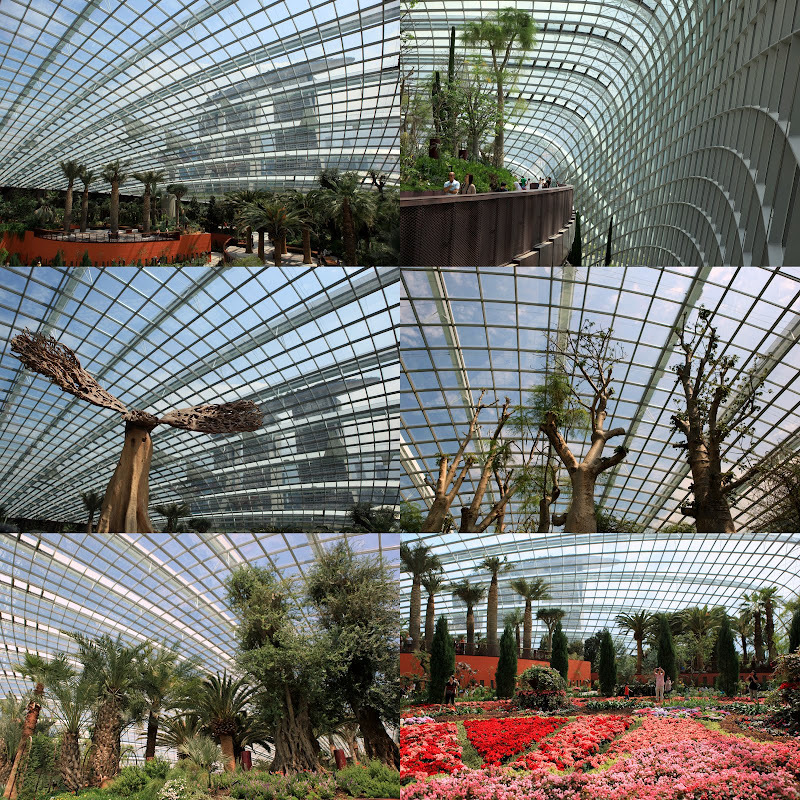 Unlike the other greenhouses I have visited which are often warm, stuffy and humid, the domes at the Gardens by the Bay provide visitors a very comfortable cooling environment. Temperature in the enclosures are kept between 23˚ – 25˚C. 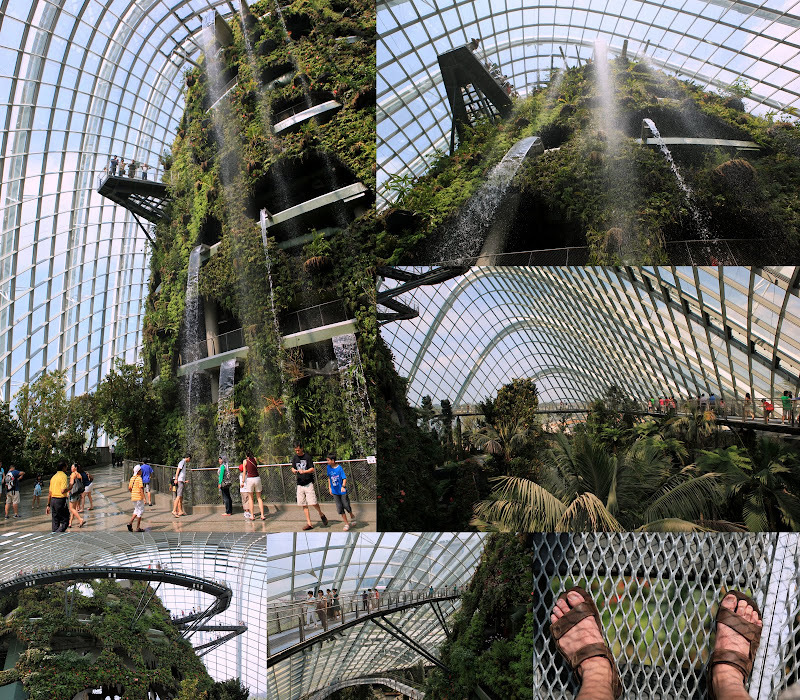 Air current in the domes are well circulated, the air is fresh and not stuffy at all. 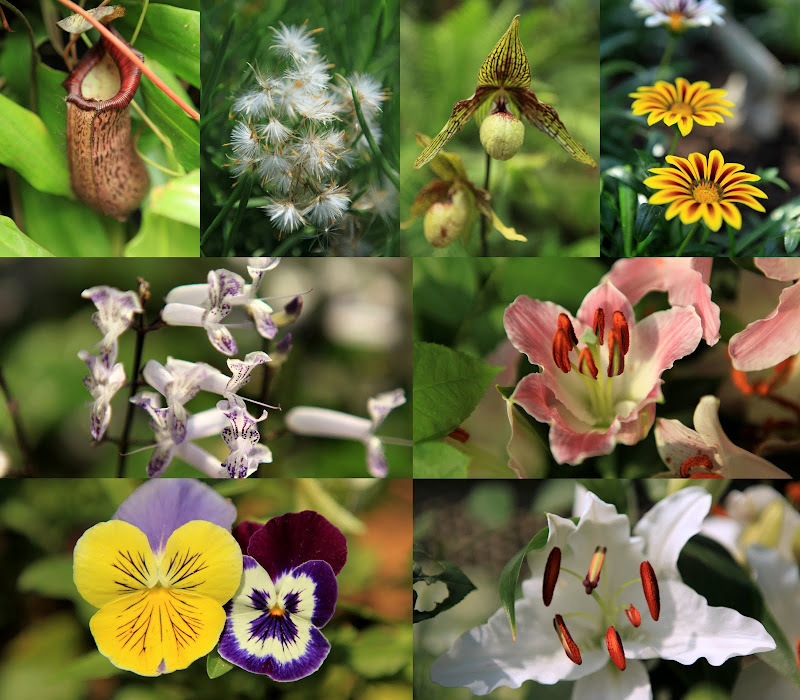 Inside the Flower Dome, there are lots of odd-looking plants (from all parts of the world). There are lots of colorful flowers and strange-looking trees. 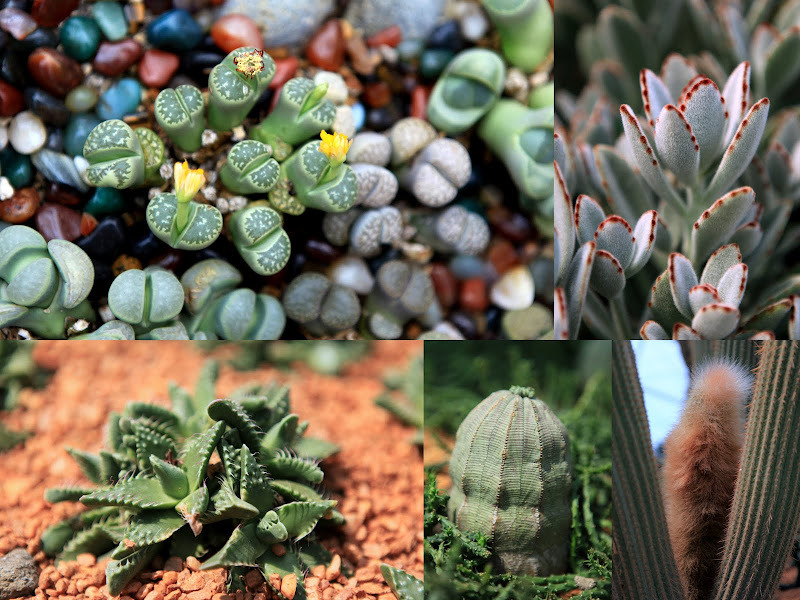 There are cactus that look like pebbles and ferns that look like dead leaves. The friendly volunteers did an excellent job introducing the specialities and uniqueness of each plant. Before exiting the dome, there are giant touch screens and 3D holographic displays for visitors to interact and learn more about these amazing plants. 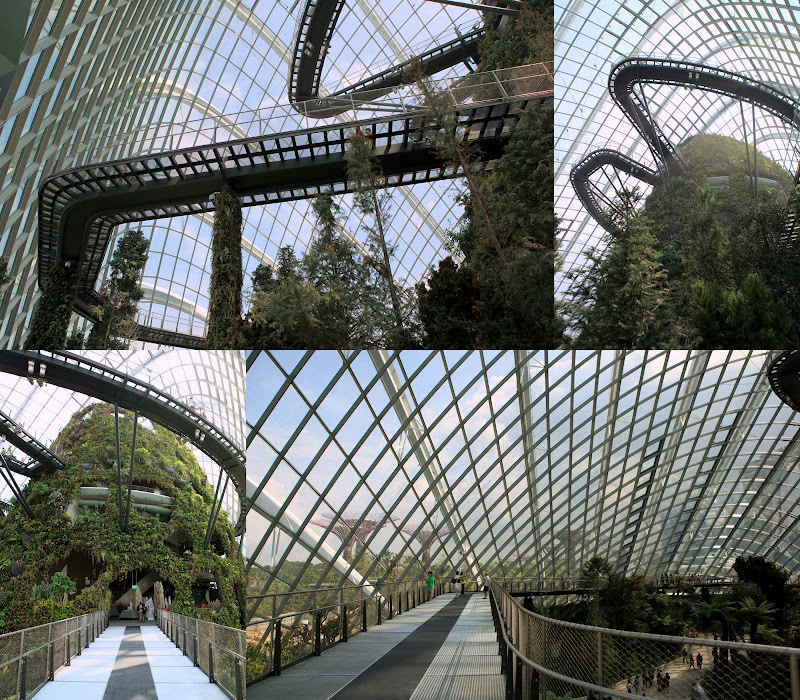 The Cloud Forest Dome is my favorite enclosure. The 35m waterfall “Cloud Mountain” is spectacular. The mist from the waterfall forms a perpetual rainbow under the bright sunlight. Visitors enter into the mountain and take a lift up to the peak of the structure (Lost World). There, visitors “spiral down” the manmade mountain on suspended metal bridges (perhaps not for those with height phobia). There are a lot of cavities inside the mountain for us to explore and discover. 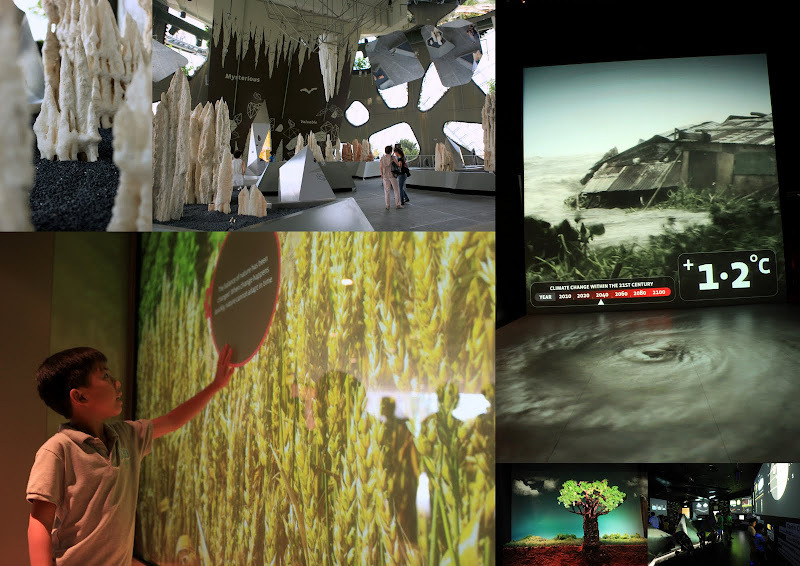 Do check out the natural limestone stalactites and the giant multimedia wall. Overall, it is an amazing experience. It exceeds my expectation. I believe this will be a top attraction for many tourists. It takes about 3-4 hours to complete all the enclosures. Don’t rush through the attractions. 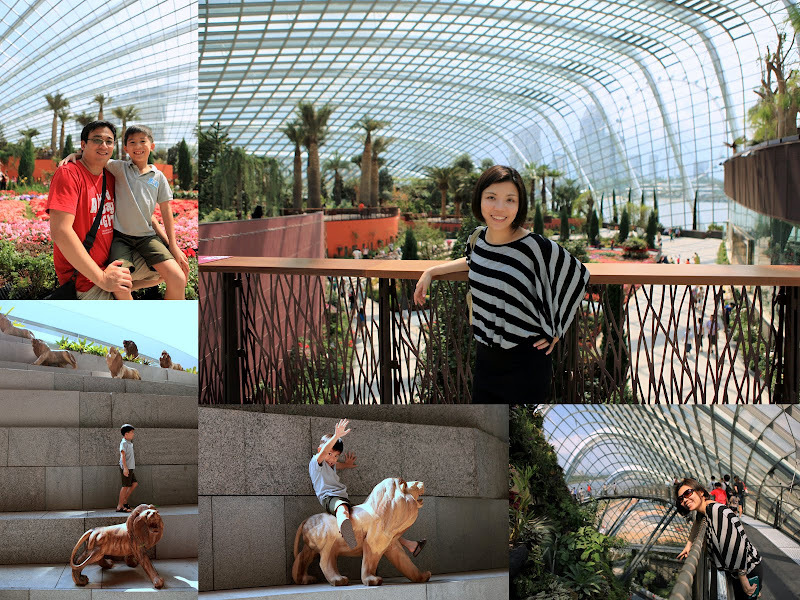 Spend more time and take a relaxing pace to explore the domes. Best time to come will be between 4-7pm (when the Supertrees lights up enigmatically at dusk and enjoy the nice sunset by the bay). Is it possible to drop me an email with your email address?